I spent two months traveling through Colombia in January and February 2016. Here is my never-finished blog of that journey. 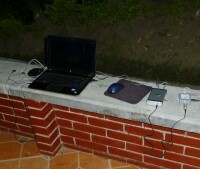 Fellow radio hobbyists may want to check out my Colombia logs and DX blog.